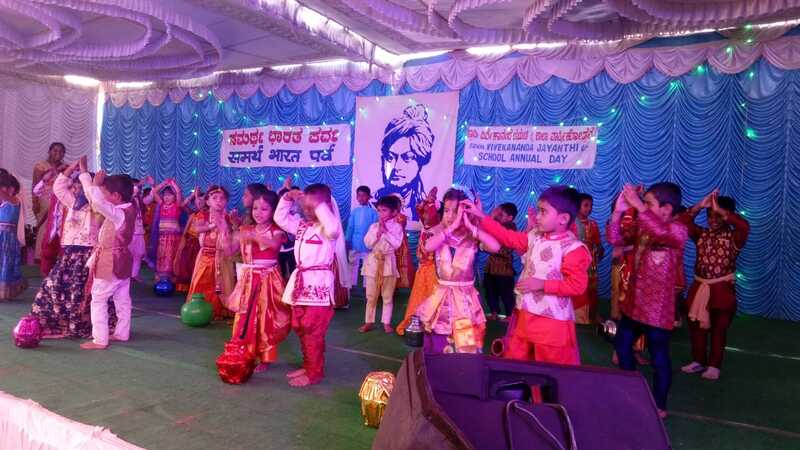 On the occasion of 156th birth anniversary of Swami Vivekananda, The School Annual Day Programme was conducted in our Vidyalaya. The chief guest was Ma. 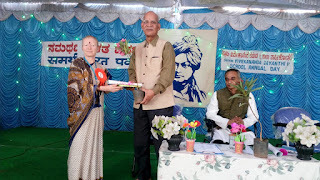 Shri Murali Rao, where as the Guest of Honour was Ma.Shri T G K Moorthi ji. 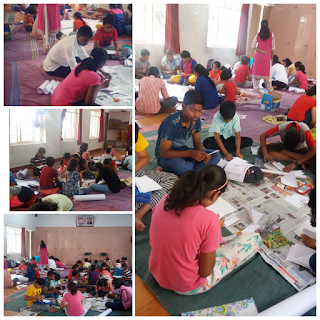 Almost all the students attended the programme and helped and participated with exuberance of enthusiasm. Since the early morning hours. Both the guests arrived at the proper time and the programme started at about 10:45 am. Prayer welcome and introductory speech vote of thanks were conducted by respective students and teachers. The Guest of honour Ma. Shri T G K Moorthiji discussed Swamiji’s life and his meditation on the rock at Kanyakumari. He emphasized the need for the children to learn from his life in the practical world. The Chief Guest Ma. Shri. 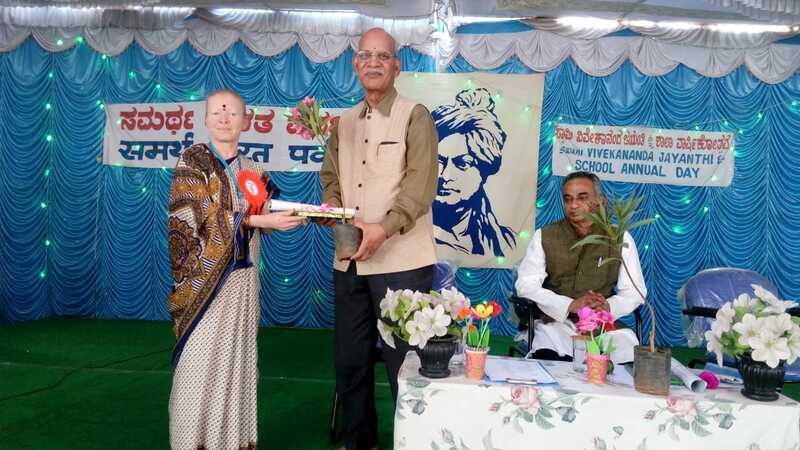 Murali Rao who was clearly overwhelmed by the spirit of the students and parents and the grand celebration also boasted about Swamiji’s life and teachings in his speech. The cultural programme began immediately after the vote of thanks. All the children performed their dances, mime, dramas etc. with great alacrity and fair skills. 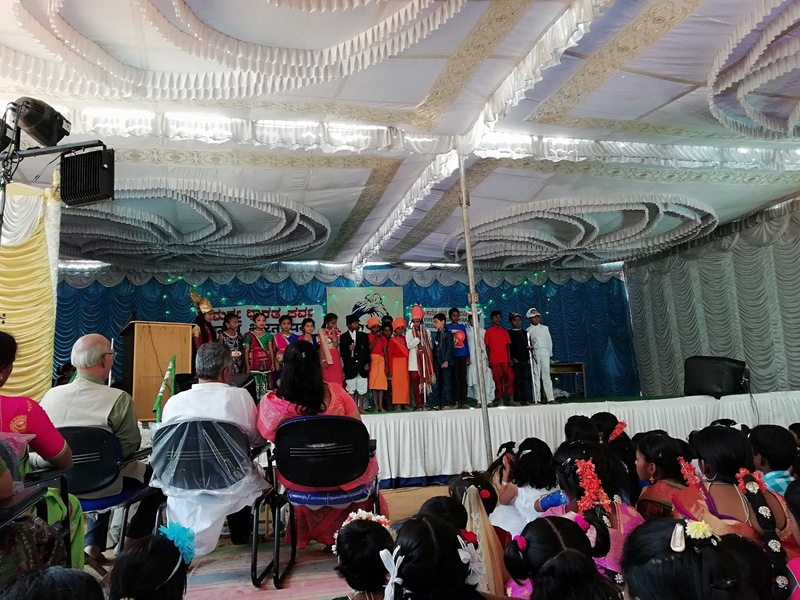 The pragrammes were appreciated greatly by the parents and especially the guests who were present for the most of the programme. The programme was concluded with shanti mantra and Kendra prayer. The school provided lunch for the spectators.